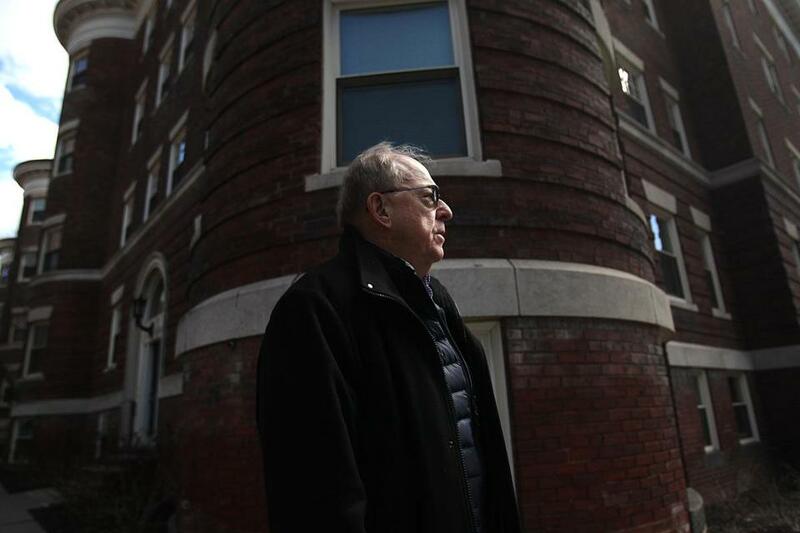 Former United Press International reporter Michael Widmer, who covered the January 1969 murder of Jane Britton, stood outside her apartment building on University Road in Cambridge, near Harvard Square. Now he is fighting to see law enforcement records about the unsolved case. 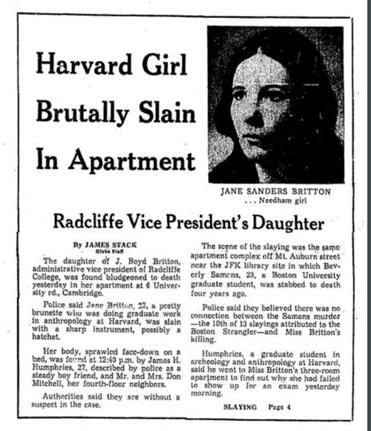 Prosecutors have had almost half a century to figure out who killed Jane Sanders Britton, a Harvard graduate student found bludgeoned to death in her Cambridge apartment one wet, wintry day in 1969. The crime scene was littered with clues, but many were perplexing. Why didn’t anyone hear her scream? Why were her valuables untouched? Strangest of all, why was red powder scattered around the room, including at least a few grains on Britton’s body? Though the 23-year-old student’s murder attracted national attention, police never named a suspect or made any arrests. Eventually, the case was largely forgotten. So when three outside researchers — including the longtime leader of a Boston think tank and a journalist for New Yorker magazine — recently started digging into the cold case, they might have expected prosecutors would welcome the aid. Instead, they met a wall of resistance. 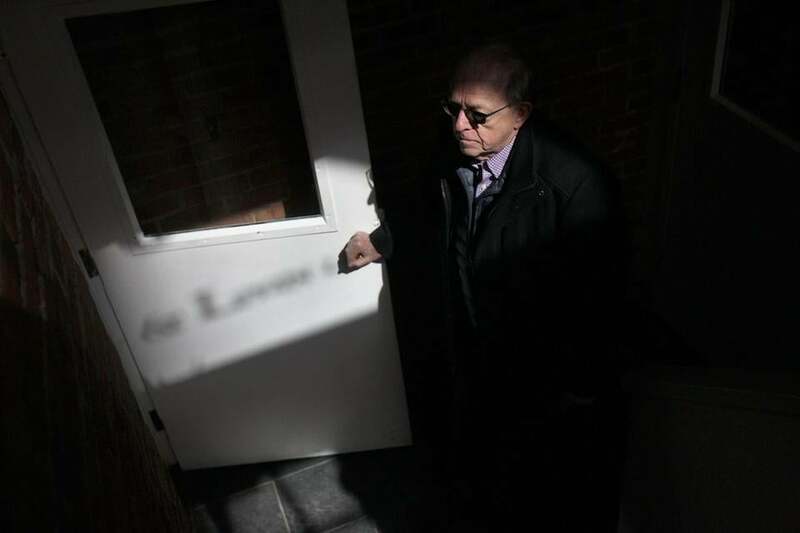 Middlesex District Attorney Marian Ryan’s office has rejected at least five formal requests for the case records sought by the researchers, as well as the Globe, arguing that the case is still active after 48 years. Releasing the files, prosecutors said, could jeopardize any potential prosecution. “You want to make sure you ensure the integrity of the investigation,” said Adrienne Lynch, who leads homicide investigations for the DA’s office. But the denials raise a vexing question: At what point should law enforcement agencies give other investigators a chance to sift through evidence when they haven’t solved a case on their own? An official charged with administering the state’s public records law has repeatedly ordered the district attorney’s office to release portions of the documents or at least provide a better explanation for why they must be withheld. So far, Ryan’s office has responded by further explaining its decision to withhold virtually all of the records. One of the outside researchers, former Massachusetts Taxpayers Foundation president Michael Widmer, said he was disappointed, but not surprised that the Middlesex district Attorney’s office shot down his requests. “In classic Massachusetts fashion, the Middlesex DA has gone to great lengths to block public access to the records,” said Widmer, who said he’s been haunted by Britton’s unsolved murder since he covered the case as a reporter for the United Press International in Boston. But Widmer and former New Yorker journalist Becky Cooper, who is writing a book on the case, are continuing to fight. He has filed five separate appeals so far; she has filed three. “I don’t intend to give up,” said Widmer. 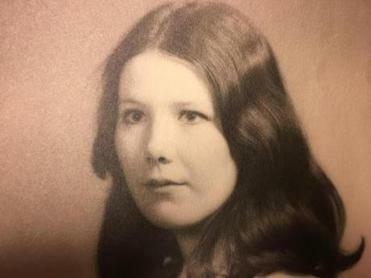 Britton, an anthropology student who grew up in Needham, was last seen by neighbors just after midnight on Jan. 7, 1969, when she stopped by to chat after a date with her Canadian boyfriend. Around 12:30 a.m., she retired to her apartment where she lived alone, except for her pet turtle and her cat, Fuzzwort. Britton, in an undated photo. When she failed to show up for an exam the next day, her boyfriend and neighbors went to her apartment and found her body on a blood-splattered mattress. Britton was wearing only a blue nightgown, gathered up at the waist. A rug and fur coat were piled on the top half of her body, as if to hide the blood. Police said Britton died from multiple blunt injuries to the head, possibly from a hatchet or a sharp rock. The medical examiner estimated she had been dead for 10 to 12 hours by the time she was found, suggesting she likely died within a couple of hours after returning to her apartment. There were no signs of struggle and neighbors didn’t hear anything, suggesting perhaps she knew her assailant or was asleep. Both the doors to Britton’s apartment and the building were typically unlocked, making it possible for almost anyone to slip in. Widmer, who had just started working as a reporter for UPI, was dispatched to Cambridge to cover Britton’s death, the first story he ever worked on as a journalist. Police tape kept him from entering’s Britton’s apartment building near Harvard Square, but he gathered the basic details of what had happened from officers, and called his office from a payphone at Cronin’s, a popular bar down the street. The story soon hit the wires, where it was picked up by papers as far away as California. And local media swarmed the story. Police appeared to devote heavy resources to Britton’s case as well. Detectives scoured her diary and an old phone directory for names. Officers searched for a former boyfriend and a man who once tried to date Britton. They even asked her boyfriend and neighbors to take lie detector tests and filmed her funeral, in case the killer showed up and gave himself away. Newspaper stories at the time offered tantalizing theories. A university professor suggested the ochre powder found scattered in the Britton’s apartment was consistent with a Persian burial ritual, raising the possibility that the killer had deep knowledge of ancient civilizations. Britton was part of a team from Harvard that had spent the previous summer on an archaeological expedition to Iran. But police noted that the powder was also commonly used in painting, one of Britton’s hobbies. A police photograph shows the corridor outside the apartment where Britton, a graduate student, was found murdered. Some wondered whether Britton’s murder was the work of a serial killer. Another woman, Ada Bean, was bludgeoned to death in a nearby Cambridge apartment about a month later. That crime was never solved either. Another 23-year-old graduate student, Beverly Samans, had been killed in Britton’s apartment complex four years earlier. Albert DeSalvo, better known as the Boston Strangler, eventually claimed Samans as one of his victims. But DeSalvo was in prison by the time Britton was killed, ruling him out as a suspect in Britton’s death. Prosecutors declined to speculate whether any of the murders were linked. As months and then years dragged on, the media moved on, her parents died, and her brother became skeptical that the killer would ever be caught. “My pessimism remains,” Boyd Britton wrote in an e-mail to the Globe. Friends, meanwhile, wondered whether police could have done more to crack the case. “Jane never got justice,” said Michael Gramly, one of Britton’s classmates. Gramly complained that police didn’t interview him until years later, when he wrote to them about his ideas about the case. And Don Mitchell, one of the neighbors who found Britton’s body, said police failed to properly secure the crime scene. “We had unfettered access to the apartment, so we could take anything we liked at any time,” Mitchell said. With the family’s permission, Mitchell said he took the Greek flokati rug that had been piled on top of Britton’s body at the murder scene. After cutting away a small half-moon blood stain, Mitchell said he held onto the rug for more than 40 years as a way of holding fast to Britton’s memory. Mitchell, who now lives in Hawaii, said he started working on a novel based loosely on Britton’s murder. “I don’t think that two months have ever gone by when I don’t think about it,” he said. Ryan, the district attorney, said prosecutors have never stopped trying to solve the Britton murder. She pointed out that the DA’s office ordered a fresh round of DNA testing of the evidence in 2006, and has been mulling over the past year whether to try a newer DNA test. Ryan said investigators have also talked to people who came forward with tips over the years. “I think the public would be heartened to know the time and effort we continue to spend on these investigations,” she told the Globe. Unlike some other cases, Ryan said police haven’t yet settled on a single explanation for what happened. A Globe article detailing the crime. “It’s got a lot of the things that make a ‘Murder, She Wrote’ episode,” Ryan said. And that mysterious quality has also attracted the attention of amateur investigators. Alyssa Bertetto, who moderates an Internet forum on unsolved mysteries, started researching the case after stumbling upon a reference to the Britton murder online last year. Bertetto, who is seeking to become a licensed private investigator in Colorado, has already obtained Britton’s birth certificate, combed through news clippings, and tracked down Mitchell, the neighbor who helped find the body. But police and prosecutors denied Bertetto’s request for the investigative files. “I was turned down at every request,” Bertetto said. Separately, Cooper, the journalist working on a book about the case, said she became interested after she heard about the murder when she was a student at Harvard. Cooper recently left The New Yorker to work on the book full-time. Prosecutors rejected her requests for the case files as well. “I see it as part of a troubling trend in Massachusetts to hide public records behind exaggerated exemptions,” said Cooper. Indeed, Massachusetts law enforcement agencies often deny requests for documents on cold cases, no matter how many years have passed. The state’s supervisor of records, Rebecca Murray, recently asked the attorney general’s office for assistance after the Worcester district attorney refused to provide records on a 66-year-old murder in which the state police acknowledged that the prime suspect is long dead. A spokeswoman for Attorney General Maura Healey said her office has not yet taken action on the request. In the Britton case, Middlesex prosecutors, in response to public records requests, decided to withhold everything except for newspaper clippings. They even withheld records containing information that had been given to journalists shortly after the murder. But Ryan said her office has to be careful to avoid accidentally releasing seemingly innocuous details that could later prove to be crucial if someone eventually confesses. To prove a confession is authentic, prosecutors often need to show that it contains details only the killer would know. By contrast, police around the country have sometimes deliberately released details of unsolved crimes to generate new tips. Philadelphia police said they received several crucial tips earlier this year after providing surveillance video and other information about an unsolved murder to a national syndicated television program, “Crime Watch Daily.” Police followed up on the leads and charged a homeless man, James Jones, with killing a 22-year-old woman, Stephanie Dzikowski, in 2015. Rachel Walton, author of a book on cold cases, argued law enforcement agencies should share at least some records from long unsolved cases. “What do you have to lose?” asked Walton, a criminal justice professor at Utah State University Eastern. Widmer, the former UPI reporter, said he often thought about the Britton case over the years, but never had time to dig into the case until he retired as head of the Massachusetts Taxpayers Foundation in 2015. This spring, he visited her apartment for the first time in 48 years. Cronin’s, the bar where Widmer phoned in his story about the murder, has long since disappeared, replaced by a modern office building with a Flour bakery on the first floor. Widmer stopped by anyway. This time, though, Widmer wasn’t looking for a phone, but a table. After sitting down at Flour, he got to work — on his latest appeal for copies of Britton’s case files. Prosecutors asked anyone with information about Britton’s death to contact State Police at (781) 897-6600.